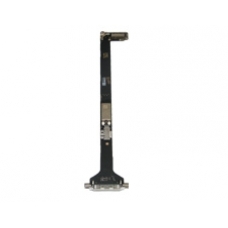 iPad dock connector, if you have broken the dock connector on your iPad this is the replacement drop in part you require. Fitting of this part involves no soldering and is a straight swap with push fit connectors, you will only need to attach the WiFi antenna leads and connect to the iPad logic board. * Complete iPad Dock Connector. * Includes Integrated WiFi Board. * For WiFi iPad Only.